i-MBA Career Office in collaboration with Nielsen Greece and Nestlé Hellas S.A., organize the workshop «Transform data to actions: Learn from the experts». 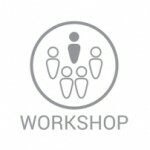 The workshop will take place on Wednesday, October 25th from 10:00 to 15:00 (room 802). The workshop will include presentation and discussion of the recruiting process of Nielsen & Nestle, of a methodology on retail measurement and of case studies from the FMCG sector. Active participation of students attending the workshop will also be encouraged. The event is open to MBA International students. To register, send an e-mail at itranou@aueb.gr. As the world’s largest food and beverage company we are driven by a simple aim: enhancing quality of life and contributing to a healthier future. To deliver on this, we serve with passion, with a spirit of excellence, offering products and services for all stages of life, every moment of the day, helping people care for themselves and their families. Our culture is based on our values rooted in respect: respect for ourselves, respect for others, respect for diversity and respect for the future. We can trace our origin back to 1866, when the first European condensed milk factory was opened in Cham, Switzerland, by the Anglo-Swiss Condensed Milk Company. One year later, Henri Nestlé, a trained pharmacist, launched one of the world’s first prepared infant cereals ‘Farine lactée’ in Vevey, Switzerland. Today, we employ around 328,000 people and have factories or operations in almost every country in the world. With our headquarters still based in the Swiss town of Vevey, we had sales of CHF 89.5 billion in 2016. Our portfolio covers almost every food and beverage category –offering products and services for all stages of life, every moment of the day, helping people care for themselves and their families.